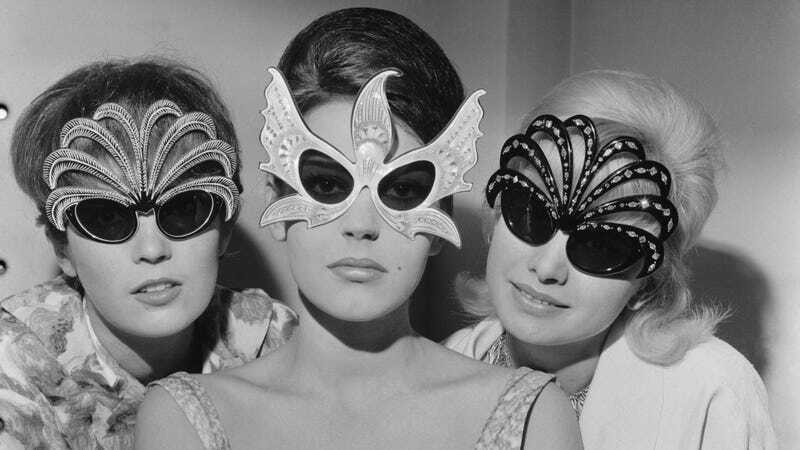 You’re looking at a trio of French models sporting the latest in haute sunglass fashions, circa June 1961. The one in the middle clearly moved to Paris to model couture evening wear and cannot believe she’s wearing a prop from Stravinsky’s Firebird on her face. The one on the left is already planning how she’s gonna spend her paycheck from this. And the one on the right has big plans in Monte Carlo next weekend, for sure.